You can now like and dislike Forum posts that you are replying to. Like ??? ?? Dislike ??? We have added Price Checker and Item Rarity to Galleries. We have added all the missing Pet Photos and Minipet Plates. We have also updated the old photo items. There is now a total of 1,779 photos and 1,904 plates to collect! We have done an upgrade on Auctions today so they process instantly without any delays. We have had to cancel all current auction lots and remove them back to your Inventory. Sorry for any inconvenience this may have caused. We have also added Auction Alerts when you have been outbidded on an item auction lot. You also have the option to turn these alerts off at any time. We have changed the fees you need to pay for pet trading, exchange and auctions. The fees are now calculated at 60MP per stat, 300MP for each book, cd or dvd collected and 400MP for each gourmet food, musical instrument or spell. The fee for a limited edition or restricted pet has doubled. The changes will mean that the fees will increase for some pets but decrease for others. The Terms & Conditions for playing Marapets have changed. Please CLICK HERE to read them. By using this site you are automatically agreeing to these rules. The Ice Fairy Game is back! Can you guess what Marapets Item is? The fee for receiving 3 Auction Strikes has been increased to 50,000MP. The Lottery has been drawn for this week. polly63947 is the winner of the 282,200MP Jackpot with the winning numbers of 12, 15, 20, 25, 17 and 19! Congratulations! Last Week's Raffle has now ended. megser is the winner of the Red DNA and 100,000MP prize with the winning raffle ticket number 5197! Congratulations! Make sure you buy your tickets for today's raffle - only 10MP per ticket! After a week long trial of the new Pet Auctions we have made a couple of changes. You can no longer sell Limited Edition or Restricted species of pets. These pets can only be traded for other pets via Pet Trades or Pet Exchange. The Lottery has been drawn for this week. wazapets is the winner of the 324,600MP Jackpot with the winning numbers of 2, 22, 12, 15, 19 and 23! Congratulations! Last Week's Raffle has now ended. jefferson1 is the winner of the Red DNA and 100,000MP prize with the winning raffle ticket number 867! Congratulations! Make sure you buy your tickets for today's raffle - only 10MP per ticket! We have just released Pet Auctions as a new feature to the site. You can use it to sell any of your pets for MP or to bid for any other pets that are up for Auction. This is the ONLY way that you are able to sell your pet. If you want to send someone a pet, use the Pet Exchange and if you want to trade your pet for another pet, continue to use the Pet Trades. ANYONE FOUND TRYING TO SELL THEIR PET BY ANY MEANS OTHER THAN PET AUCTIONS WILL HAVE THE PET CONFISCATED AND THEIR ACCOUNT MAY BE FINED OR FROZEN. 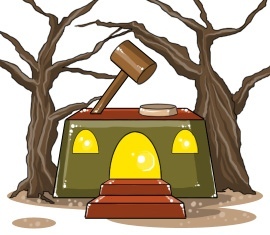 IMPORTANT - pet auctions work exactly the same as item auctions. Once you have listed your pet for auction, the highest bidder will become the new owner of your pet for the price that they bid. The buyer will also be charged pet trading fees, which you as a seller will not receive. We have increased the total number of pets you can have from 24 to 28 with the use of Extra Pet Giftbox items. And finally a quick reminder that the Genie and Mad Scientist Account Upgrades will retire on Jan 15th. We have just released Plate Collections. 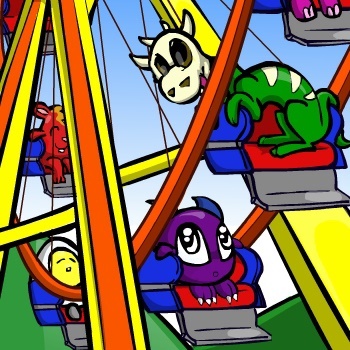 Similar to the photo albums of each colour and species of pet, you can now collect the plates of each minipet as the ride the Ferris Wheel in Slater Park. Your Plate Collections have now been added to your Profile. The Lottery has been drawn for this week. KAT220 is the winner of the 188,400MP Jackpot with the winning numbers of 19, 8, 14, 25, 13 and 7! Congratulations! Last Week's Raffle has now ended. sweetheart385 is the winner of the Red DNA and 100,000MP prize with the winning raffle ticket number 70! Congratulations! Make sure you buy your tickets for today's raffle - only 10MP per ticket! King Baspinar has added new prizes for all of you players than have been playing here for 5 Years! We have had a lot of people asking why they haven't been receiving Account Upgrade credits from the Loyalty System recently and we would like to remind you all that this was removed months ago because of multiple/old account abuse. As we haven't had a new Account Upgrades set for a while now we have decided to put 18 very limited edition items on sale. These items will be on sale for a maximum of 6 weeks, but there is limited stock of each item to be sold - so get the ones you want while you can! The Angel Wig has been retired and is no longer awarded for your first transaction with Google Checkout. We have also reduced the Google Checkout promotion from 20% to 10% as payments via Google Checkout are no longer processed instantly. All Genie & Mad Scientist Account Upgrades will retire by January 15th. This is your last chance to get hold of them! All Free Training at the gym and school has now ended and will not be returning any time soon! You can now once again receive 50MP everytime you post on the forums. SPAM does not count! The December 2011 Monthly Checklist winners have been announced and the prizes have been rewarded. Congratulations to all of those who have won. Don't forget, this is a monthly permanent feature that you can enter for FREE. If you haven't already, you should enter the January event! You can finally claim your Advent Tree prizes. You will be given the chance to choose from a refund of ? ?20 Account Upgrade credits or to receive the a new set of prizes that you can claim every year. The 2011 Advent Tree prizes are now avaliable for you to claim. If you decide on the prizes, you cannot receive a refund of credits but you will instead receive new prizes each year that will retire! The Lottery has been drawn for this week. BilalSalma is the winner of the 106,300MP Jackpot with the winning numbers of 4, 17, 21, 9, 1 and 13! Congratulations! Last Week's Raffle has now ended. QueenYamia is the winner of the Red DNA and 100,000MP prize with the winning raffle ticket number 1930! Congratulations! Make sure you buy your tickets for today's raffle - only 10MP per ticket! The Lottery has been drawn for this week. xxheyheyxx1 is the winner of the 487,600MP Jackpot with the winning numbers of 15, 6, 25, 1, 5 and 8! Congratulations! Last Week's Raffle has now ended. Lossofinterest is the winner of the Red DNA and 100,000MP prize with the winning raffle ticket number 404! Congratulations! Make sure you buy your tickets for today's raffle - only 10MP per ticket! The Lottery has been drawn for this week. Jenanna is the winner of the 76,200MP Jackpot with the winning numbers of 3, 2, 11, 25, 7 and 19! Congratulations! Last Week's Raffle has now ended. ultimate9ner is the winner of the Red DNA and 100,000MP prize with the winning raffle ticket number 4527! Congratulations! Make sure you buy your tickets for today's raffle - only 10MP per ticket! The Lottery has been drawn for this week. skuuxxyy is the winner of the 80,000MP Jackpot with the winning numbers of 4, 5, 12, 24, 22 and 18! Congratulations! Last Week's Raffle has now ended. carlita00 is the winner of the Red DNA and 100,000MP prize with the winning raffle ticket number 648! Congratulations! Make sure you buy your tickets for today's raffle - only 10MP per ticket! The Advent Tree will be happening every year as normal but this year it will be changing. We admit that it was a really bad idea that wasn't feasible for us to release so many new clothing items each year. More news of the change will be released soon. It will have different prizes and still be worth its price and those not happy can swap back their map pieces for a refund of the AU credit paid. Sorry for the inconvenience. The Advent Calender has started. Visit the Biala Mountains every day during the month of December to receive a FREE item and MP. All prizes will retire. The Lottery has been drawn for this week. tbear89 is the winner of the 75,800MP Jackpot with the winning numbers of 12, 5, 13, 23, 1 and 21! Congratulations! Last Week's Raffle has now ended. Adriel991127 is the winner of the Red DNA and 100,000MP prize with the winning raffle ticket number 4378! Congratulations! Make sure you buy your tickets for today's raffle - only 10MP per ticket! The Thanksgiving Turkey Hunt event has ended and the winners have been announced. If you were in the Top 500 you will have received a new alert and you now have your prizes. Congratulations to all winners! !